After taking a look at Grand Marnier, it’s only right that we seek out its fellow orange – Cointreau. 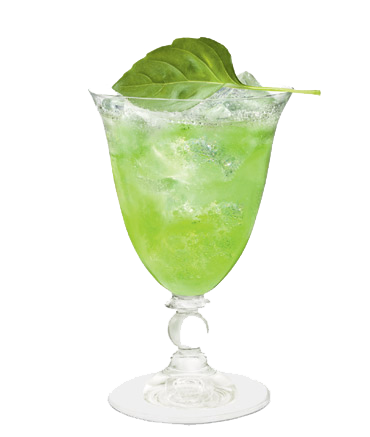 Cointreau prides itself with a mix of tradition and modernity since its creation way back in 1875. A gentleman named Edouard Cointreau, son of Edouard-Jean (a famous master confectioner), distilled himself a spirit from sweet and bitter orange peel with a highly crystalline robe – a major novelty at the time. Edouard Cointreau also at that time invented the square-sided amber-coloured bottle which to this day still houses the liqueur. In 1898, the creation of the Pierrot character, which became the symbolic image of the brand by famous poster artist Nicolas Tamago, was first published, and a year later Edouard Cointreau launched the first advertising film featuring Pierrot. 1923 saw the brands success grow to countries such as the United States, Canada and Latin America. Edouard’s sons, Louis and André Cointreau, replaced him at the head of the family business and invent the concept of ‘the worldwide brand’. This slogan is used on most of the brand’s poster campaigns across the globe. Even James Bond got in on the act, using Cointreau as part of its marketing exploits. Rémy Martin merged with Cointreau in 1989 and became a leading brand when high-quality came into mind, which in 2007, completed its image with the signing of Dita Von Teese becoming the Global Brand Ambassadress. So its a simple history, and a simple production too. The orange peels are fully dried, macerated and finally distilled in copper stills to extract the drops of essential oils. Fresh orange on the nose with a slight sweetness mixing. Ripe orange rind flavours on the palate produce a mouth-watering effect, with sweetness dominating near the lingering end. 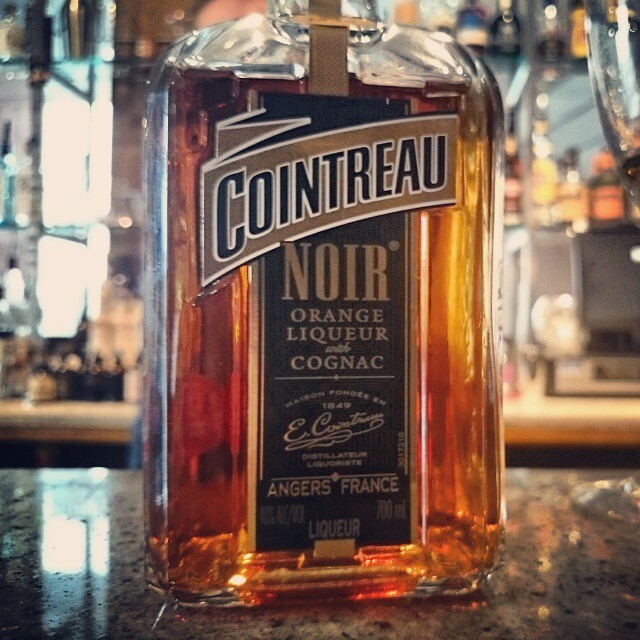 In October 2014, a brand new expression was released under the Cointreau banner, Cointreau Noir. Spearheaded by Cointreau’s Master Distiller of 30 years, Bernadette Langlais, Cointreau Noir is a unique blend of Cointreau and the Cognac Rémy Martin. It was inspired by Majestic, a spirit originally created by Édouard Cointreau in the 1900’s, and has been macerated with walnuts and almonds. Rich orange peel on the nose with a lick of burnt zest with a slight dryness. Thick, smooth and a developing spice on the palate. An underlining of sweetness with plenty of orange creating a very long, warm finish. Rich grape flavours are also present. Pour into a cocktail shaker with ice cubes,shake well, then pour into a chilled Martini glass. Cointreau doesn’t stop itself at cocktails though. Food creations have also been a staple recently including Chocolate Roll with Cointreau, Caramelised Risotto Pudding and Chilean sea bass. 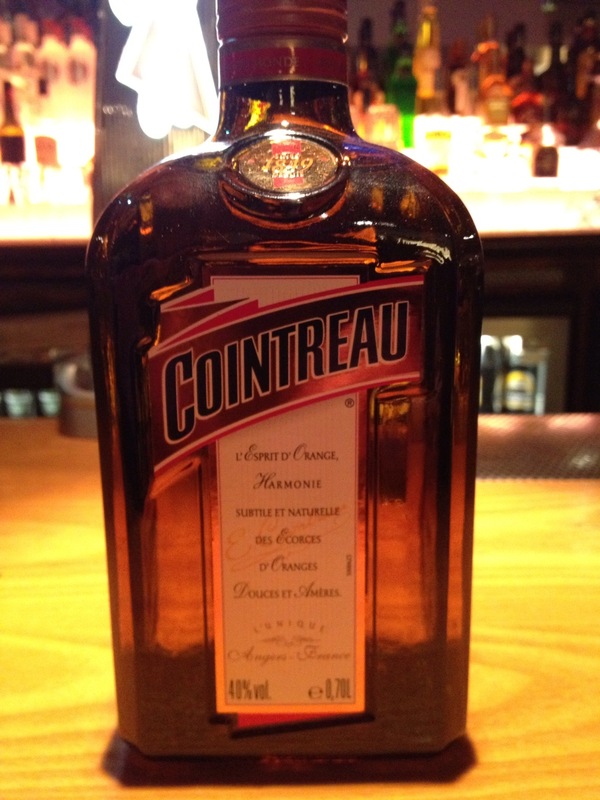 A staple in many a bar, Cointreau will be seen, used and enjoyed by not only bartenders, but also by yourselves at home. I have several liqueur bottles still unopened from the 1927-37 era, and wondered what to do with them. The 1934 Benedictine was absolutely perfect, Now in front of me is an 1937 Kummel Cointreau and a Relsky orange (russian) Any suggestions? neck in order to get rid of a double chin. Next PostNext The UK’s Largest Cocktail Master Class returns to Manchester…Bigger and better!